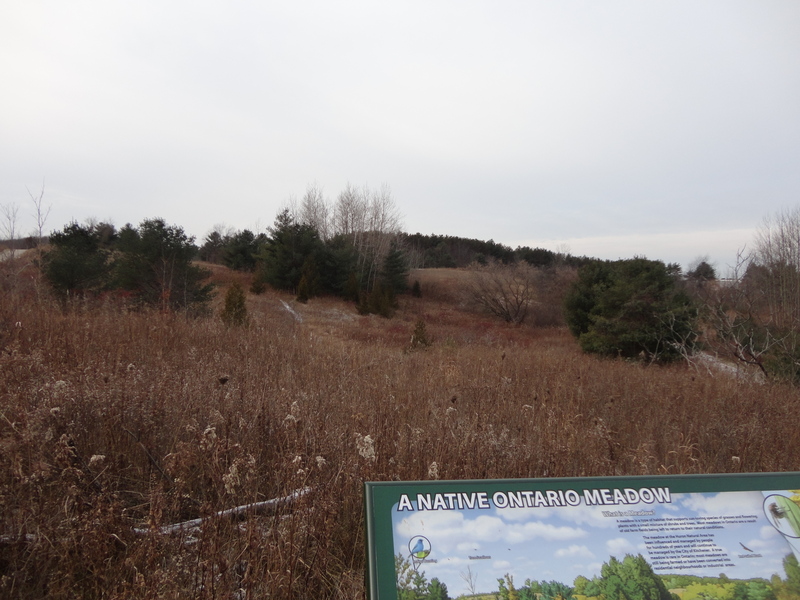 On the south side of Kitchener, Ontario, there is a 107-hectare natural area fondly referred to by locals as the Huron Natural Area. With ample volunteer, financial, and community support, this slice of nature within the city has thrived as a cultural, environmental, and educational hotspot. 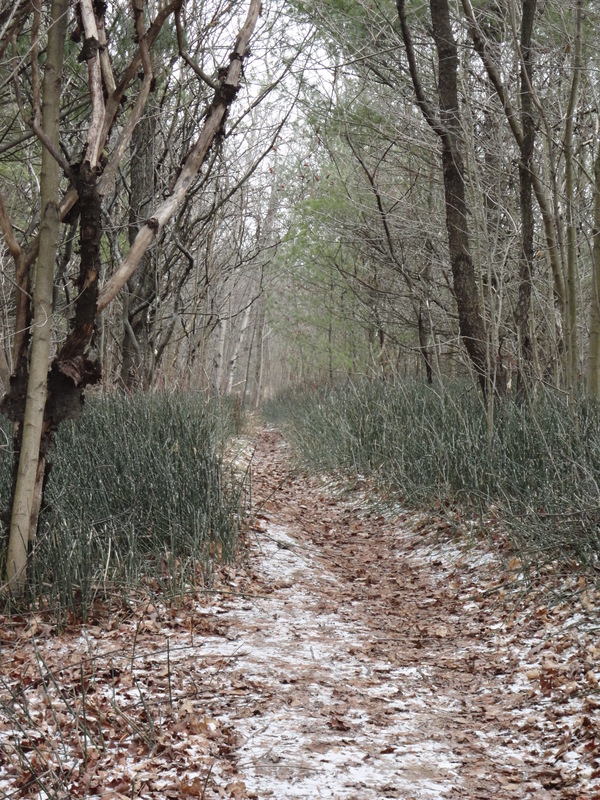 While hiking through this area, I was most cognizant of the well-maintained trails. These trails include informative signs, strategically placed arrows, and multiple boardwalks to get you past the muddy or water-logged areas (of which there are many). 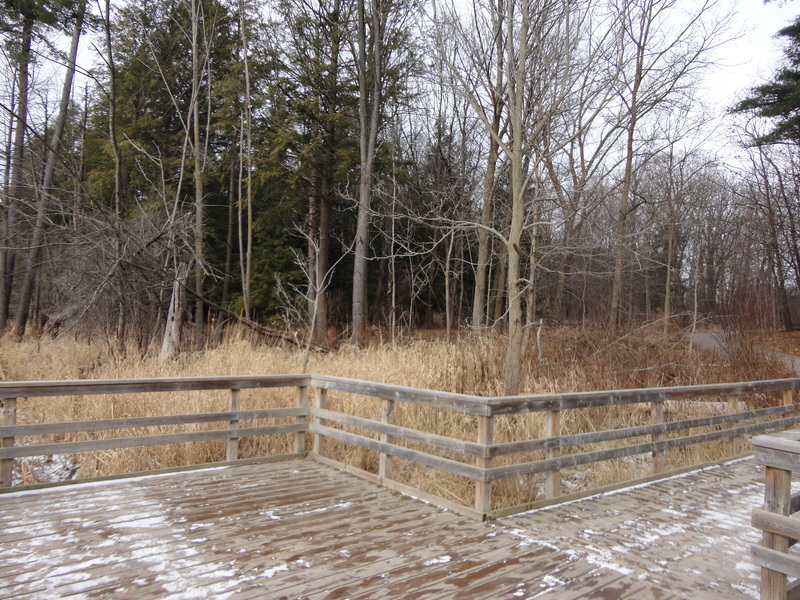 The natural area features provincially significant wetlands, forests, meadows and significant species, and is home to Strasburg Creek – one of Kitchener’s only coldwater streams. Stewardship events take place quite frequently in the Huron Natural Area, and school groups often visit. 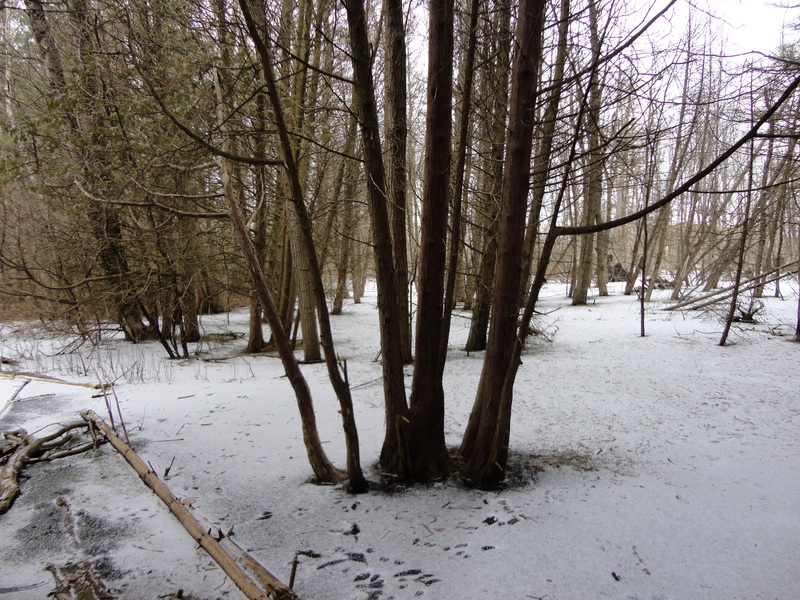 In February 2014 there will be winter wildlife tracking workshops and owl education outings held as a part of the Kitchener Natural Areas program. The site is equipped with an attractive public washroom with a green roof and interpretive monuments near the parking lot. Paved walkways make the location accessible to bikes and wheelchairs, and the terrain is easy to medium difficulty with steep hills in some areas. Attractive signs appear throughout the area. 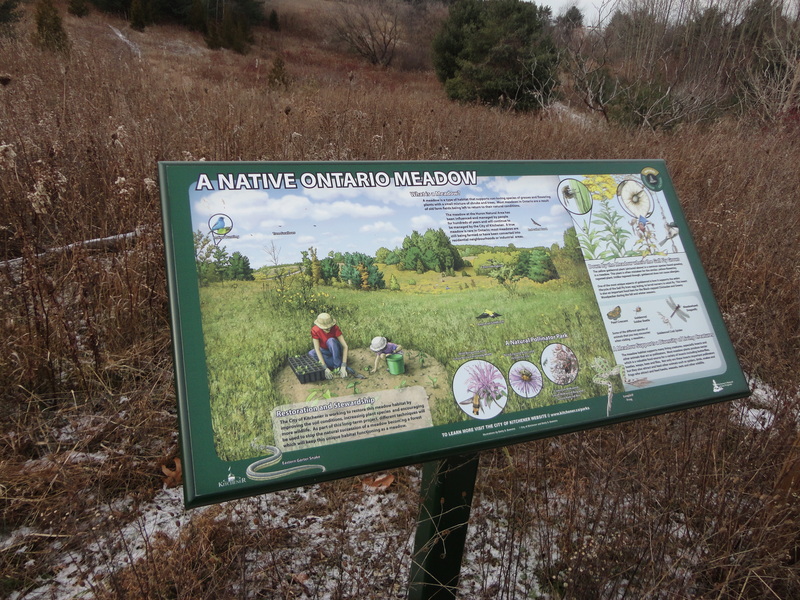 An “Ontario meadow project” sign highlights native species in the area. Many areas are damp or water logged, but very attractive. 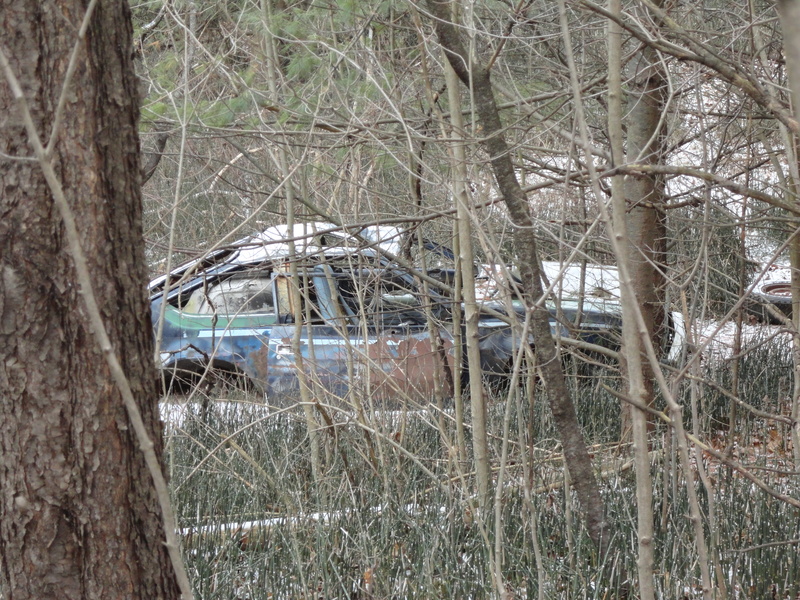 An abandoned car hiding along the trails. Horsetails make this vista a little more green, even in December. 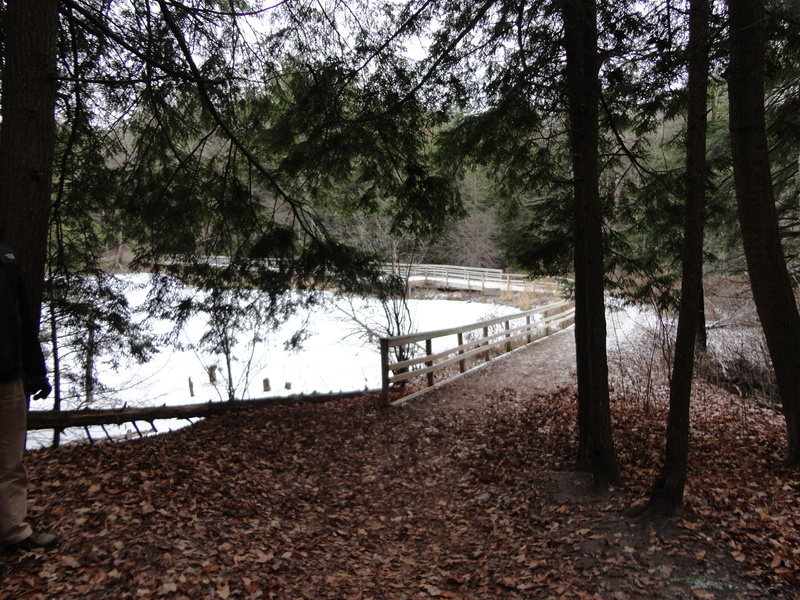 A boardwalk looking out over the ‘Board of Education’ pond.